A fan page for the Hyborian War play-by-mail game of battle, intrigue, and diplomacy set in the unmatchable Age of Conan. Hyborian War Wall Map – The actual game map sent by RSI, with all the Hyborian War provinces. 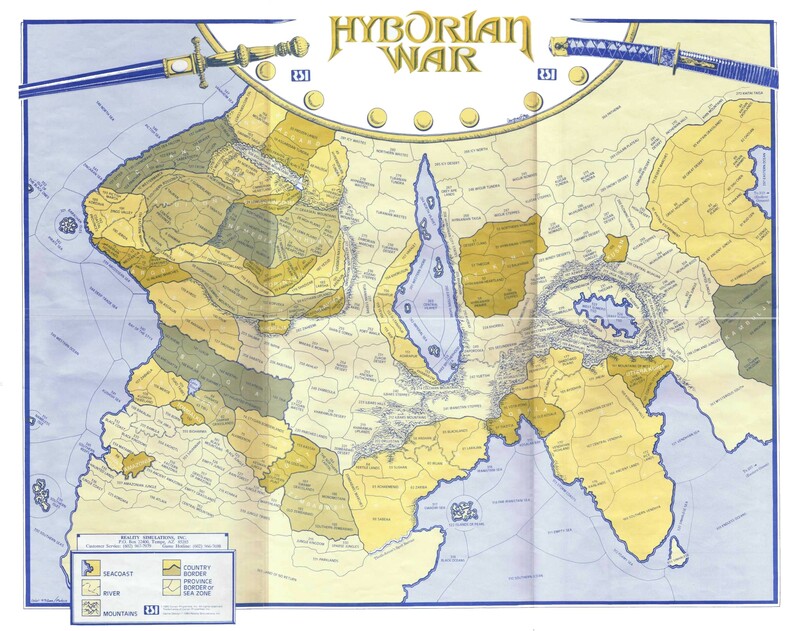 Hyborian War Wealth Map – The wealth of the provinces all color coded, with trade routes. Kingdom Summaries – From someone who has probably played them all. Imperial Troops – Special units available when a kingdom meets its imperial goals. Victory Conditions – Full set of provinces needed by each kingdom.